Last Friday in Jakarta two transgender people accepted an award from the Alliance of Independent Journalists (AJI). This was the first time the alliance had designated its freedom of expression award to sexual and gender minorities —and it couldn’t have come at a better time. 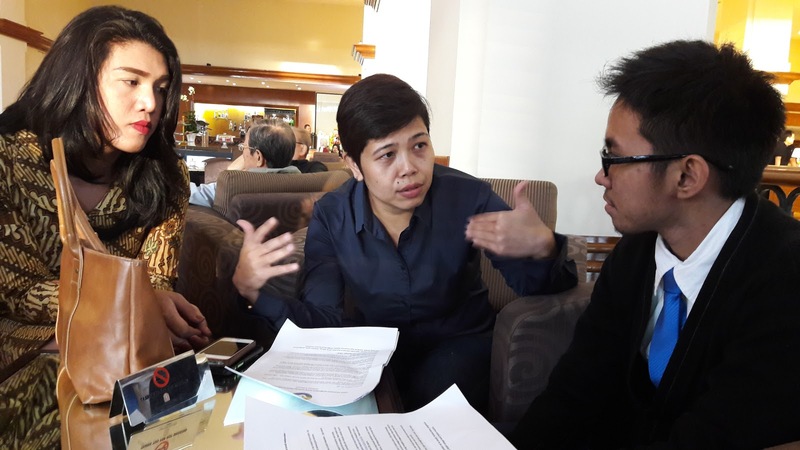 Since January 2016, the basic rights and safety of lesbian, gay, bisexual, and transgender (LGBT) people in Indonesia have come under an unprecedented attack following an onslaught of hateful and misinformed rhetoric from government officials and politicians. I helped launch the AJI, a journalism union, in 1994 when Indonesia’s military dictator, Suharto – then in his 29th year of power – banned three leading weekly newspapers. Indonesia’s diversity has been a main talking point for President Joko Widodo’s administration – but his government has also repeatedly failed to protect Indonesia’s minorities from discrimination and violence. Saifuddin, who earlier this year urged non-violence towards LGBT people but in the same breath suggested LGBT people were “mentally ill,” sat silently. This week he attempted to distance himself from the ceremony because it included LGBT rights activists – not the behavior one wants at a celebration of free expression. Indeed, Indonesia’s LGBT rights allies are strong, diverse, and many. As a peaceful demonstration brutally broken up by the police earlier this year showed, they are also ready to stand up for all Indonesians’ rights. The government should demonstrate the same democratic values.